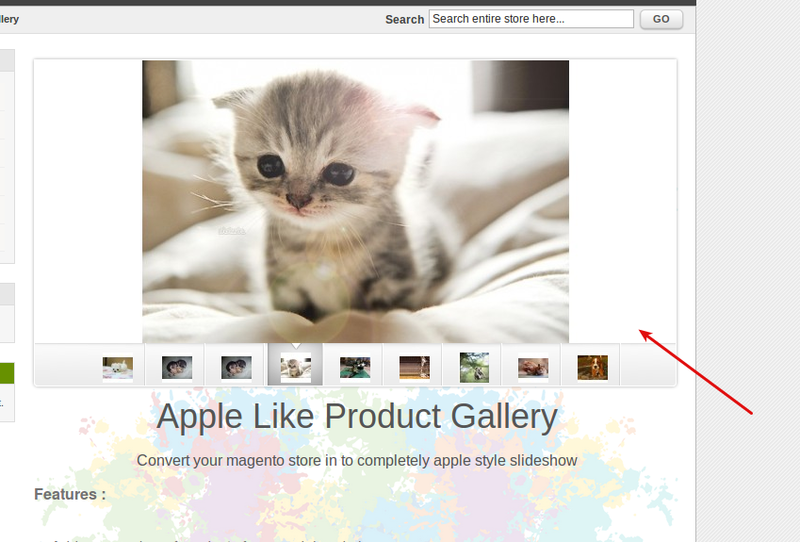 Apple Product Gallery is so awesome to convert your Magento store into the completely apple style slideshow. Sleek Design working in all modern browsers. (IE7+,FF,Chrome etc). Adjust height and width from the Magento module admin and tons of other effects. It’s pretty easy you just need to move both folders (i.e. app, skin) into Magento root that’s it. After moving both the folder, flush the cache from Magento admin module. Under system > cache management. And now your Magento Apple Product Gallery module has been installed. After successful installation of the module you need to go System -> Configuration -> Apple Slider. After inserting all required details your Apple Product Gallery is ready to display.